The Austrian Arbitration Association – Arb|Aut is a non-profit association dedicated to promoting domestic and international arbitration. It is particularly focused on promoting Austria as the place of arbitration. Austria, and especially Vienna, is uniquely situated to be a platform for the resolution of cross-border disputes. To this end, Arb|Aut organizes domestic and international conferences and encourages the next generation of arbitrators, in particular in conjunction with the Young Austrian Arbitration Practitioners (YAAP). 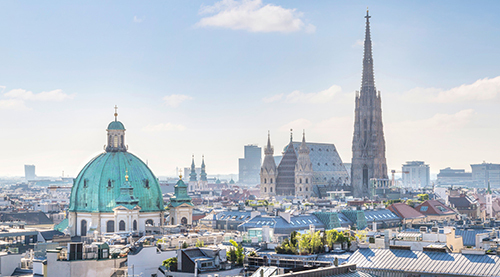 The association co-operates with the International Arbitral Centre of the Austrian Federal Economic Chamber (VIAC), the ICC and other arbitral organizations and institutions on an on-going basis. It also maintains contacts with international organizations based in Vienna, particularly the United Nations Commission on International Trade Law, UNCITRAL. Arb|Aut is, however, not an arbitral institution and does not administer arbitrations. The Austrian Arbitration Association invites arbitration practitioners world-wide to participate and become Arb|Aut members. Please click here for the Association's Statutes (available in German language only).